My sweetheart sent me a special Valentine's message yesterday. I'm not supposed to share with everyone. But the fact is... 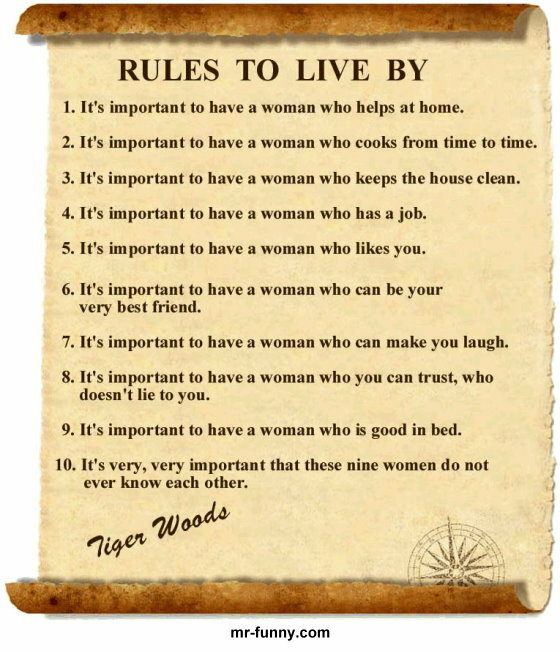 I'm not a selfish person, I feel all men should read these interesting rules posted above. I'm afraid the words are a little small and you guys have to read them near. If you can't read them, then I think you are definitely too old to know. This message is meant strictly for the men only. So if you are one woman who is reading this post, I wonder whether you agree these rules applied. If you could laugh over this message and not the least be angry with me, I believe you are just as understanding a woman like my sweetheart. Yes! Ladies and Gentlemen what have you got to say now? Im sharing this in my fb thru ur blog ere. One can either have 1 woman who covers all the 9 roles, or to have a few or 9 women who cover the roles. Anyway, they can be sister, mother, biz partner, frens, gf, wife, maid, cook,accountant and the list goes on. Well, in short, i enjoy reading this n had a good laugh. You certainly sound a very mature lady who understands man. I'm sure you are a jovial person too. And I'm too lucky to know you as well.